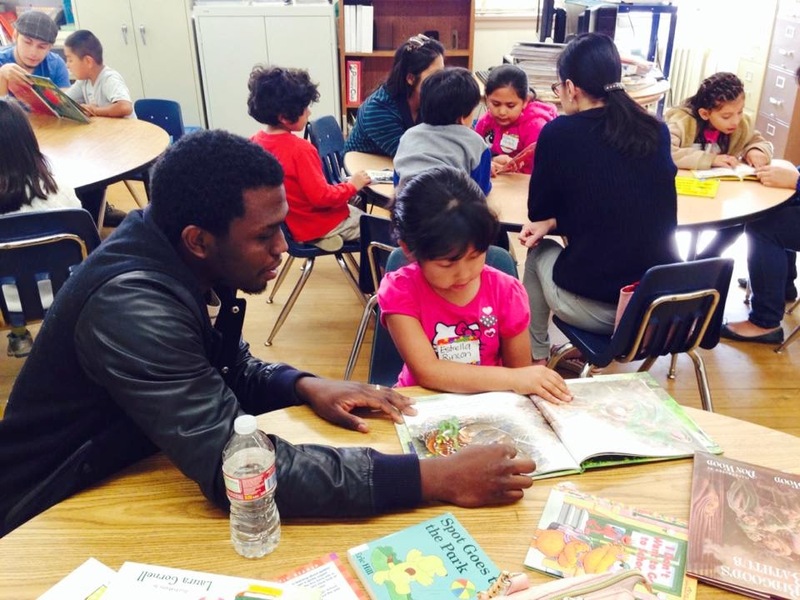 For the month of April, we combined our Jackson Elementary and Villa Parke locations to accommodate volunteers and families leaving for Spring Break; next month we will hold reading programs at both locations as is normally the case. For the first hour of our program, students at the Jackson Elementary site worked with volunteers to improve their reading and comprehension skills. During the second half of the program, the students heard a presentation from G. Fred Stevens, a professional life coach. Mr. Stevens spoke to the students about setting short and long-term goals and thinking about making plans to achieve those goals. Students were invited to think about what they wanted to achieve in 2014 and beyond and share those ideas with the group. At the end of the morning, students were given thermoses with hollow plastic shells to hold reminders of their goals for 2014. Next month we will open both the Jackson Elementary and Villa Parke sites. If would like to volunteer for next month’s culinary program, click on the “Get Involved” tab to sign up for the location nearest you! 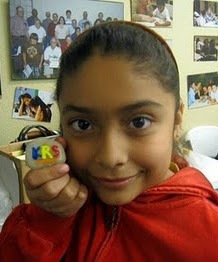 Kids Reading to Succeed (KRS) works with the youth of Pasadena to encourage a love of reading and to improve literacy skills. Check out our About Us page for more information about our current projects. *Our program is held on the 1st Saturday of the month unless that Saturday is a holiday weekend; then, the program is on the 2nd Saturday. **Program begins at 9:00 a.m. sharp. Kids must check in by 8:40 a.m. Volunteers must check in by 8:30 a.m. Go to "Get Involved" page for info on volunteering and "Kids & Families" page to sign up your child.